One of the household names among ukulele wielders and enthusiasts hails from Honolulu, Hawaii, Jake Shimabukuro is well-known for his rapid and complex finger work on the ukulele, combining elements of different music styles including rock, jazz, bluegrass, and folk. With the help of the power of the internet, Shimabukuro gained worldwide recognition in 2006 when a video of him performing The Beatles’ “While My Guitar Gently Weeps” was uploaded on YouTube without his knowledge went viral. The ukulele landed on Shimabukuro’s hands for the first time when he was four years old. His mother played the instrument and taught him how to strum strings and play a few chords. His fascination never went away and only grew as he got older. 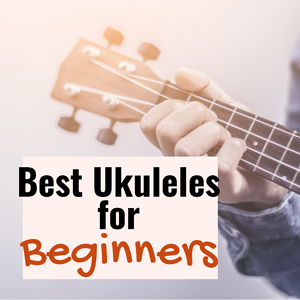 While learning other instruments, Shimabukuro confessed that none of them spoke to him like the ukulele did and it was the instrument that made him realize he wanted to be a musician. I was always very passionate about it. But when I was a kid there was no such thing as a touring solo ukulele player, so I always understood that it would be more of a hobby. I never even dreamed of doing what I’m doing today. Luckily it evolved into that. I feel very fortunate that I get to travel, perform and just play my ukulele everywhere. Yeah, since the time I was a kid, it’s always been my passion, but I never imagined that I’d be able to just do it all the time. This is really a dream come true. Because the ukulele was Hawaii’s signature instrument, being able to play it wasn’t special, but young Jake’s passion for the instrument pushed him to do greater things with the ukulele. While listening to other styles of music like jazz and rock, Shimabukuro incorporated those styles on the humble four strings and two octaves of the ukulele. When I was in high school, I would pull electric guitar riffs and quote classical pieces and things like that. And I remember people just kind of looking at me and saying, ‘Wow, I didn’t think you could do that with the ukulele.’ That’s kind of when the light bulb went off… My freshman year in high school is when I really started to get experimental. And that’s when I kind of took a little different direction and strayed away a little bit from the traditional Hawaiian music. I mean, that will always be my first love, but I really wanted to see what else was possible out there. 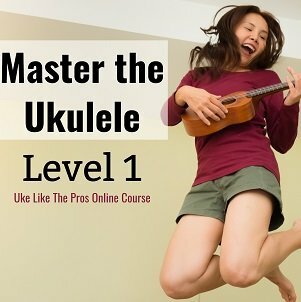 I wanted to extend the boundaries of what ukulele music was. Shimabukuro first garnered attention in his Hawaiian hometown in 1998 as a member of Pure Heart, a musical trio with him on the ukulele, Lopaka Colon on percussion, and Jon Yamasato on guitars and vocals. Pure Heart later released their first eponymous album and bagged four Na Hoku Hanohano Awards (Hoku Awards), a premier music award in Hawaii which is the state’s equivalent of the Grammy’s. The same album also appeared in Honolulu Magazine’s Top 50 Hawaiian Albums of all time. One year passed and Pure Heart was able to gain another Hoku Award for their second album, but the year also saw the departure of Jon Yamasato. Shimabukuro and Lopaka formed a new band and enlisted the help of bassist Andrew McLellan and guitarist/vocalist Guy Cruz. The new band Colon is named in memoriam of Lopaka’s father Augie Colon who was a famous percussionist. The band released one album in 2000 titled “The Groove Machine” which won a Hoku Award the following year. In 2002, the band Colon met its end and Shimabukuro decided to pursue a solo career. With his popularity reaching the shores of Japan, Shimabukuro became the first Hawaiian artist to sign a recording contract with Epic Records International which is a subsidiary of Sony Music Japan International. Later he began to tour Japan nationwide, which he still does to this day, and released numerous albums locally, including songs which received extensive airplay on local radio stations. Shimabukuro became a beloved musician in Japan and eventually got a 120-page biographical photo-book in his honor. Because of the limited local reach of his music, Shimabukuro created Hitchhike Records in order for his music to reach Hawaii and other parts of the world. He began to promote his music in the United States. His 2005 album “Dragon” landed in the fifth spot in Billboard’s Top World Music Albums of that year. Shimabukuro’s viral rendition of “While My Guitar Gently Weeps” led him to receive various love letters from established artists requesting to collaborate with him. Artists like Jimmy Buffet, Ziggy Marley, Bette Midler, and Cyndi Lauper caught his attention. Shimabukuro eventually toured with Jimmy Buffet in 2005, 2006, and 2007, and became a featured artist in Jimmy Buffet’s albums and videos. In 2009, he accompanied fellow Hawaii-born multi-award winning artist Bette Midler in a three-song set including their own rendition of The Beatles’ “In My Life.” The two then had a chance to meet Queen Elizabeth and shake her hand. In 2012, a one-hour biographical documentary on Shimabukuro titled “Jake Shimabukuro: Life on Four Strings” was released and won an award in Ashland Independent Film Festival and Los Angeles Asian Pacific Film Festival. The biopic was later on aired repeatedly on PBS. Shimabukuro was also able to perform in various television talk shows including Late Night With Conan O’Brien, Jimmy Kimmel Live!, The Today Show, and BBC Breakfast. Which Ukulele does Shimabukuro use? Shimabukuro’s trusty instrument is a custom made tenor Kamaka. The body is made of curly koa, the fingerboard and bridge are made out of ebony, the binding is from rosewood, and the inlays are from mother of pearl and abalone. Shimabukuro uses d’Addario J71 for his strings. To be updated with Jake Shimabukuro’s tour dates and to learn more about him, you can check his official website and his official YouTube channel. Jake’s music is so touching. I didn’t know he started playing when he was only four!